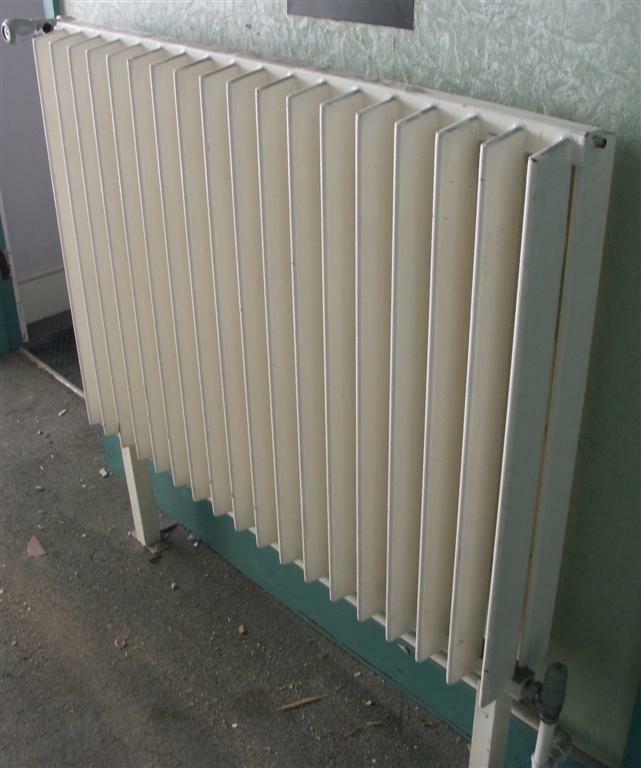 A set set of seven commercial duty steel radiators reclaimed from a Preston towerblock.Very heavy and from a working system. Dimensions in inches are:6.25 deep by 31.5 tall-not including the 12" stands which could be reduced in height by 42 wide.18 double fins wide. 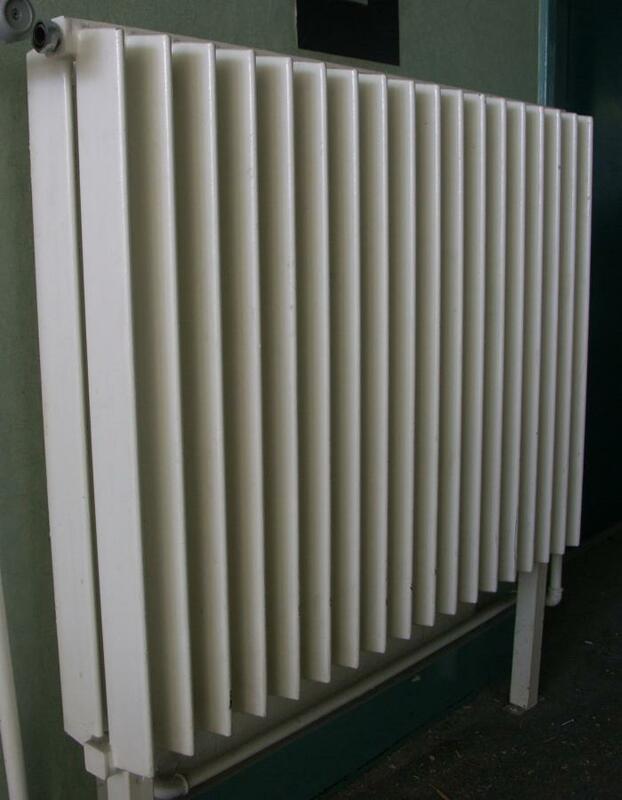 Good modernist design ,similar radiators are being produced now but few as stylish or as heavy duty- each of these radiators weighs 72 kgs. 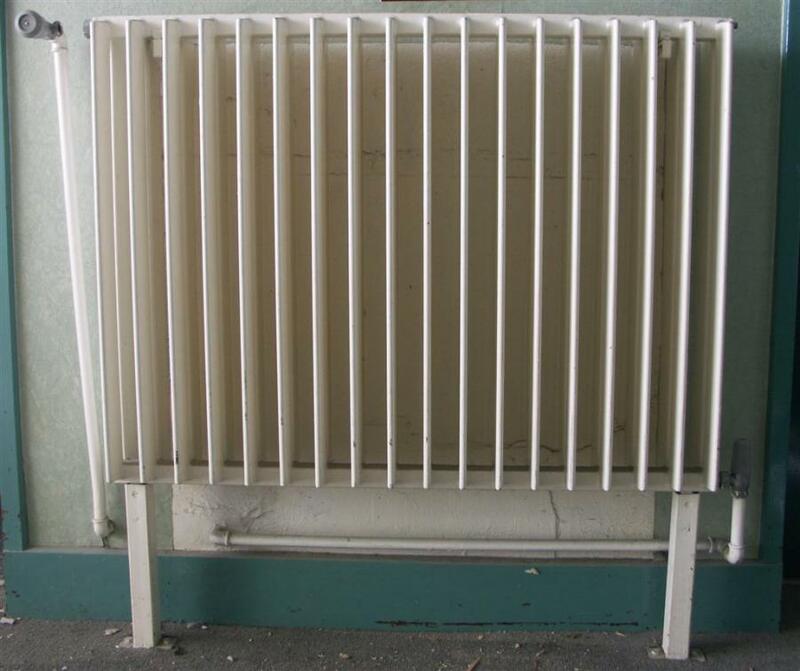 These radiators will chuck out a lot of heat. 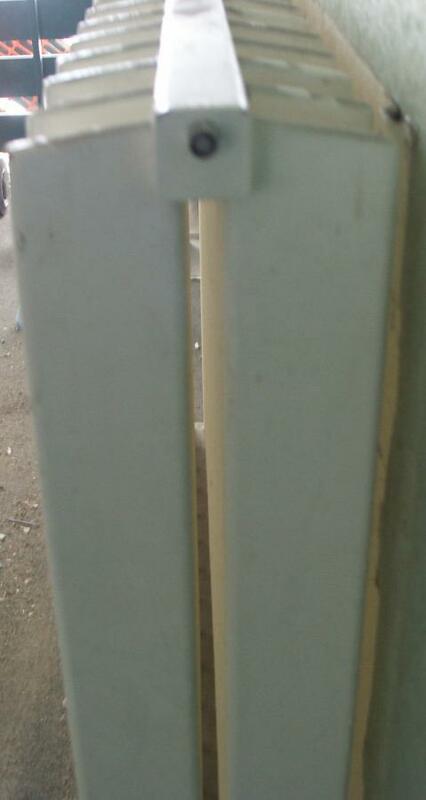 I have a similar pair shown on another advert.